This immaculate 4 bedroom 4 bath townhome offers great space for the active family. Nicely updated, with ceramic and hardwood on the main level, both Dining Room and eat-in Kitchen. The kitchen walks out onto a low maintenance back yard with no neighbours and a huge deck. 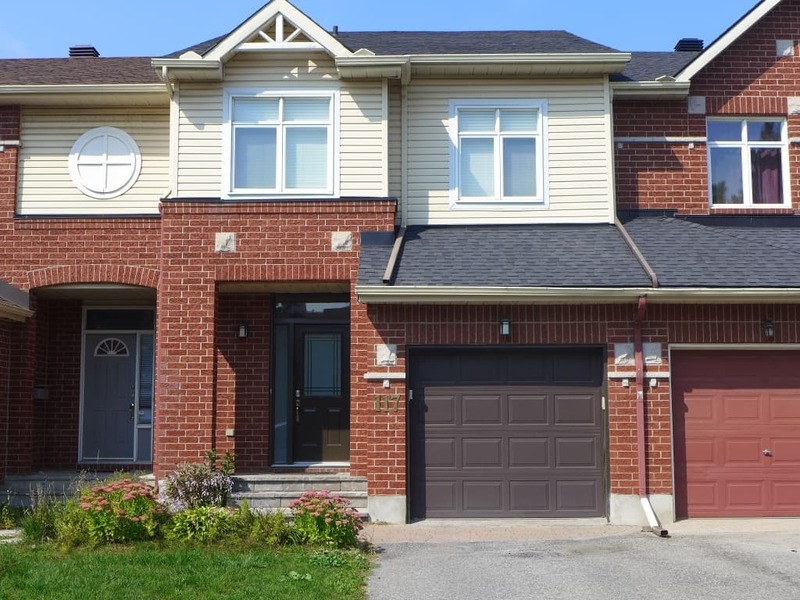 Click here to view the Photo Gallery for 117 Thornbury. The second level offers a huge master suite with double doors, lots of room for a king size bed, 5 piece ensuite with soaker tub and walk-in shower as well as a walk-in closet. Two other good size bedrooms, updated main bathroom, and convenient second floor laundry complete the second level. The lower level is finished with a huge fourth bedroom and 3 piece en-suite bath with walk-in shower. Great for in-law suite or teen pad! Location Location: Prime location in Centrepoint within walking distance to Algonquin College as well as the shops at College Square. Centrepointe Theatre and dining are even closer and great transit gets you downtown in minutes! Available immeditaly – non smokers only! Give a call today for your private showing. Click the link below to view the property details.